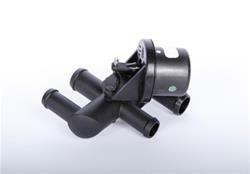 ACDelco heater valves control the flow of coolant through the heater core. These valves close to stop coolant from flowing through the heater core, permitting maximum cooling from the A/C evaporator. ACDelco aftermarket replacement HVAC heater control valves are manufactured to meet or exceed your expectations for quality and function.